Itâ€™s October 1st and to some this post may appear to be late, but that depends on your perspective. Most of the time, suggestions for marketing in October occur in June or July to allow more time to get the merchandise and implement a plan. Itâ€™s not too late, there are several suppliers who provide short turnarounds. If youâ€™re planning a party and need decorations there are several options with quick shipping since most of the items do not have a custom imprint. 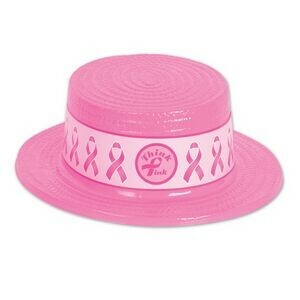 Click on the hat picture to see a selection of party items. Some of the items can be imprinted but most of them are packaged in multiples like you would find at a party store but less expensive. 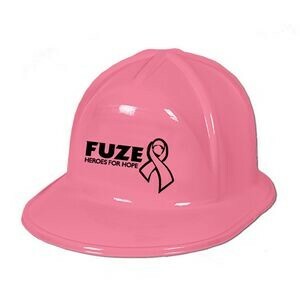 This pink hard hat is an example of an item which can be imprinted. Planning a Pep Rally for cancer awareness? Pink pom poms are great for cheering during runs and activities. Buy Chocolate to support Cancer? Our affiliate Astor Chocolate is helping out as well. Click on the picture below to view their offerings.